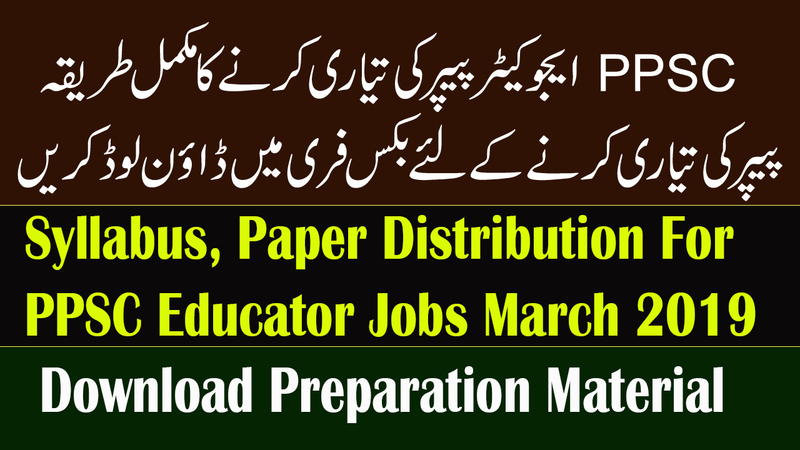 Jobs from Punjab Public Service Commission have been announced by the Punjab Public Service Commission, I will tell you how to prepare for all those jobs. Many people will be thinking about how to prepare for these jobs, what would happen to Syllabus, so I am going to provide you with full information. In this article, you will also be provided free to prepare, which will be very good for you. If you want to get government jobs, you have the best opportunity to prepare your best so that you can pass the Punjab Public Service Commission's paper. You may have any questions regarding any job you can do comments under the article. i) 50% MCQs questions from General Knowledge, including Islamic Studies, History of Pakistan. ii) 50% MCQS questions relating to your subjects, qualification. You must prepare while keeping the same syllabus. This is Syllabus of all the teacher jobs. Aik mcq ghalat hojany pe apka 0.25 mark cut hoga. 4 mcq galat hony pe apka 1 marks kam hoga. yani agar ap 100 mein se 60 mcq thek karty hain aur 40 ghalat to 10 marks apke kaat liye jaengy total 50/100 reh jaenge. If you take 50 numbers your paper will pass.